It is All About the Sermon, Right? Did I tell you, “I get to preach this Sunday.” Yeah! That was the title of one of my first blogs as theunexpectedds. Where once I was lamenting that DS’s didn’t preach every Sunday, I’m now faced with the prospect of preaching every Sunday…which is okay with me because I love preaching. I’ve also thought I might use the blog as a means of fleshing out some of the things I was preparing to preach, but then I thought, well, if too many people read my blog and show up a couple of Sundays and hear some of what they’ve already read, then they might not show up for many Sundays. Hey, if I can read it during the week, why bother to get up and go to worship? Right? Then, I thought, but worship is not all about my sermon, right? People come to worship for lots of reasons. 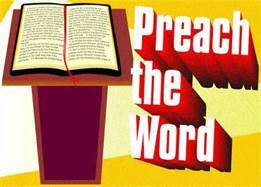 For a preacher, on a good day, some of the reasons might have to do with the sermon. See, even we preachers get self-centered in our thinking, too! 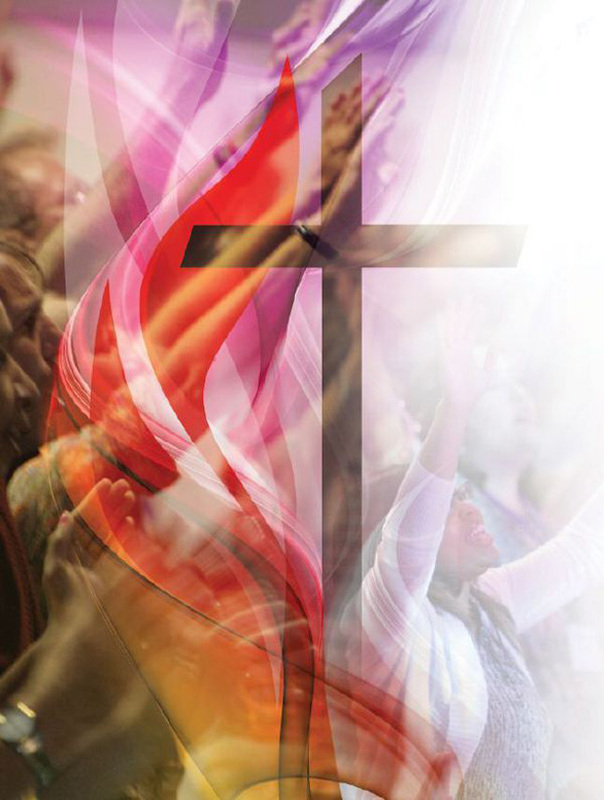 Worship is, and always will be, about God. It’s not about me. It’s not about you. It’s not about us. It’s about Him. If the message I preach can, in any way, enhance our experience of the Almighty, then I will believe I’ve been obedient to the Spirit. If otherwise, I’ve failed in my leadership of the congregation. I’ve got to tell you, though, some of the times I’ve felt closest to God are times when I’ve been preaching. I don’t know how to explain it, and I suppose it can’t be explained. I just know that I get this awesome sense of His presence, His nearness, His love when I stand to preach. Preaching is, for me, exhilarating. It is emotionally and physically draining, but it is exhilarating. There have been times when, like the Pentecostals, I’ve wanted to shout, “Glory!” Not because of anything I’ve said (as though anything I could ever say would elicit such a response), but because I’ve been so overwhelmed by His presence in a moment during a sermon. I’m not sure whether any other preachers have felt that way. I’ve never actually heard anyone talk about it. Maybe we’re not supposed to talk about it. There’s also the whole routine of preparing to preach that excites me. Well, most of the time anyway. There are times preparing becomes a chore, but that’s usually when it’s rushed because I’ve put it off until the last minute. But there are other times, when I’ve been rushed, waited until the last minute, and the Holy Spirit has done an amazing work, and the words flow, and the sermon just evolves. Still, I remain convinced the Holy Spirit does His best work through our preparation, which is fine with me because the preparation is sort of a spiritual discipline for me, and I usually love it. I suppose the fact that I love to preach so much is yet another reason I’m not the perfect pastor. I find myself putting too much time in preparation for preaching and not necessarily enough time in doing some of the other things a pastor needs to be doing. Like administration. I know how to do it. I just don’t like to do it. It takes ten times more energy to do an hour’s worth of administration than it does to do ten hours of sermon preparation. I never have figured that one out. Not to worry. We’ll get the administration done. I’m certain there are lots of people at 1st UMC who LOVE administration. I’ll just have to find out who those folks are and let them live into their giftedness. So, I’m not so sure I want to use this blog as a means of fleshing out sermons. There will be times people may hear something they’ve read in my blog, but that’ll be just because it was on my mind at the time. Perhaps the week following the sermon some of the stuff will show up in the blog. Yeah! Maybe that’s the way to do it. Don’t give it all away ahead of time. Save it for after. That’ll be a good way for those who missed worship to connect. Then again, they can hear it on internet, so, maybe not. I know what I can do, though. I can use this space as a sermon tease. Give a little tidbit, a little illustration, a little foretaste of what one can expect on Sunday. Yeah! Maybe that’s what I should do. That might be just the thing. A little snippet like, “What does Pandora.com have to do with the 4th of July?” Maybe that would generate a little interest and get people to come to church. It might not, but we’ll never know until we try. Of course, the great fallacy in all my thinking is that I’ve made it all about the sermon. I know it’s because I love to preach so much, but I have to keep reminding myself, it’s not about me. It’s not about the sermon. It’s all about Jesus. See, I told you I wasn’t the perfect pastor. But, that won’t keep me from trying. The old office is empty. I’ve already taken the keys off my key chain, ready to pass them on to my successor in the Monroe District. I carried out the last box yesterday. I have a lunch date Monday as District Superintendent, but other than stopping by for that date, I don’t plan to be back in that office for work. The new office is piled high with boxes and pictures and such. Everything that was at the old office has now made its way over to 1st UMC. Vanessa was complaining last night that she’s never been in that office so she couldn’t offer much help when I asked her about arranging things for me. The new office is pretty much a shambles right now. I haven’t unpacked the first box, but they’re there, at least. There is one item I have put in its place in the new office. It wasn’t at the old office. It’s a new piece altogether but I like it so much I already knew where it needed to be placed. The new piece was a gift from the family of a deceased former church member. It’s a larger than life portrait of “The Duke.” That’s right! John Wayne, and I’ve placed it in an open space on the bookshelf facing my new desk. Every time I look up from my desk I’ll be staring at The Duke. One would think a Methodist preacher would have a picture of Jesus hanging in his office, or at the very least, John Wesley. Actually, I’d prefer a bobble-head John Wesley, but I can’t bring myself to order one. It seems almost blasphemous to make a bobble-head figure out of John Wesley (dashboard Jesus comes to mind here). I like my portrait of John Wayne. I don’t care if Vanessa does make fun of me. Miss Jean (the former church member) and I shared a love for John Wayne, and her family wanted to pass on her portrait of The Duke to me (seriously, what were they going to do with a big picture of John Wayne?). They said she always talked about the many John Wayne illustrations I used in my sermons. I try not to use so many any more. Too many younger folks don’t know John Wayne. Same thing with Andy Griffith. I love the Andy Griffith Show. It’s full of life lessons we all need to learn and re-learn, but so many Millenials never watched the show, so they don’t know Andy, Barney, Opie, Gomer or Aunt Bea. As much as I hate it, I’m shying away from those illustrations. Gotta’ be more contemporary, you know! One reason I like the film so much is the role The Duke plays. We never know for sure if Duke is the good guy or the bad guy. We get the impression from the sheriff and the townspeople that he’s a bad guy. And, I guess he is…a gunslinger, after all. The townsfolk don’t want much to do with him, don’t want him in town. In one scene, the sheriff even comes up to him and urges to hurry out of town and warns him not to cause any trouble. If he was such a bad guy, why didn’t the sheriff arrest him, or order him out of town? I’m saying there’s more to the back story here we don’t know. I believe we find out the back story in the unfolding of the plot of The Sons of Katie Elder. We discover (at least I do) that “Big John Elder” is a man who knows the right thing to do, and really wants to do the right thing. It’s just that life sometimes presents us with choices and we don’t always choose the right. Big John comes seeking redemption in doing the right thing to honor his mother’s memory. Doing the right thing presents its own set of challenges, but Big John pursues the right the best way he knows how. It ain’t always pretty. It ain’t always easy. But right is right, and right is in his heart. Reminds me of King David. He was a man after God’s own heart even if he did make a few (that’s an understatement) bad choices along the way. I like to think I try to do the right thing. I want to do the right thing. It’s just that life gives me to many opportunities to make the wrong choice. Sometimes I do make the wrong choice. I’m left with trying to find redemption. And yes, sometimes I even believe that I can gain redemption by “doing” the right thing next time. I’ve learned that my redemption lies solely in faith in Jesus Christ. No amount of “doing” good can redeem the wrong choices of my life, but the blood of Jesus Christ washes away all my sin, makes me a new creation, and affords me the opportunity to rest in the love of the Father. The love of the Father gives me a new perspective from which to understand all that is right. Yeah, it’s a little convoluted, but that’s really how my mind works. I’ll look up from my desk, and there will be The Duke staring back at me. I’ll remember that as much as I want to be the good guy, I won’t always make the best choice. I’ll also remember that my goodness rests in trusting Jesus, and I’ll give thanks for all Jesus has done to redeem me. 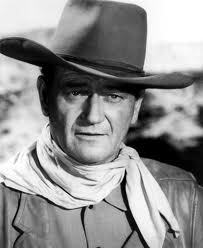 And I’ll probably give thanks for John Wayne…I love his movies! I had a great Father’s Day. It all started on Saturday evening really. All my children and grandchildren showed up Saturday evening, and I cooked (something wrong with that picture) for them. I got some great gifts: a cordless drill, my backyard sprayed for mosquitos (my son is the “Skeeter Beeter”), a gift card to Lowe’s (what guy doesn’t want a gift card from a home improvement store), and a bag of my favorite candy (Reese’s Peanut Butter Cups, if you’re wondering). I also got a hammock for my back yard, which is where we spent most of our time Saturday evening (in the back yard, not in the hammock). Actually, we spent most of the time on my back porch. When I got home from church yesterday, guess where I spent most of my time. That’s right! On my back porch. I love my back porch. I call it my back porch because that’s what it used to be called when I was growing up as a kid. I think people these days are calling them “outdoor living spaces.” What’s that about? 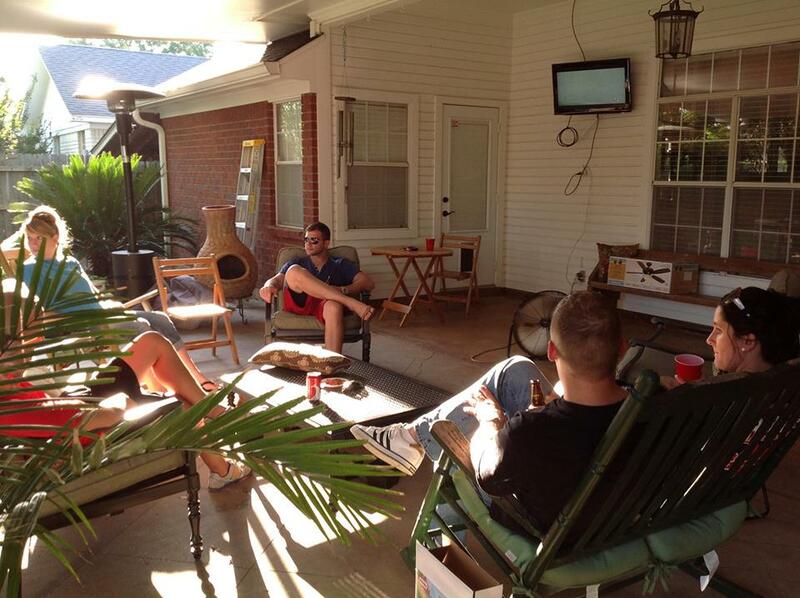 I’m trying to figure out what distinguishes an “outdoor living space” from a back porch. I couldn’t find “outdoor living space” in the dictionary, so I googled the phrase. I discovered a plethora of sites that could help me design my outdoor living space. Some even showed me photographs. One even said I could turn my patio into an incredible outdoor living space. So, a patio needs to be transformed in order to become an outdoor living space? I suppose all that time we spent on our patio at the District parsonage over the past two years was not considered outdoor living, since we hadn’t transformed it. Or, had we? I had a fire pit and patio furniture. Does that count? I also had a grill (we love to grill!). We had little globe lights hanging across the gutters (a trick we stole from a Mexican restaurant). We even had a butane heater to add heat in the cold of winter so we could enjoy the patio. Or, was that an outdoor living space? I’m not sure. I guess an outdoor living space doesn’t necessarily have to be on the back porch or the patio. From looking at all the pictures that google provided, I would say an outdoor living space could be just about anywhere you wanted to put it. I wonder if a lawn chair in the back yard with a can of Off would qualify? Is it the cooking that makes it outdoor living? Is it the patio furniture that qualifies it as an official “living space.” Maybe it’s the television. I saw very few “outdoor living spaces” that didn’t have a TV (yes, I have a TV on my back porch–watched NASCAR and the U. S. Open between naps yesterday). I did find “back porch” in the dictionary. You know what a back porch is? It’s a porch for the back door. I have a back door. It has a porch. Call it by any other name, it’s still a back porch. That’s where I spent my Father’s Day afternoon, and I loved it. I find myself treating my sin the same way. I figure if I can change the name of what I’m doing…call it something else, then it won’t be sin. I can call it entertainment. I can call it a half-truth, or a little white lie. I can call it an affair. I can call it a lifestyle choice. I can even call it fun and fulfilling, but at the end of the day, I’m still left with the guilt of knowing I haven’t been obedient to the call of God on my life. Yeah, I know. The Greek word used for sin in the Bible literally means “to miss the mark.” Yeah, I missed the mark, but at the end of the day, there was a mark, and most days I miss it. Call it what I will, it’s still sin, and it needs to be dealt with. I come to the end of the day, and I rely totally on His grace. I confess that I’ve missed the mark, that I’ve sinned and fallen short. I ask for strength to know a better way, and I rest in the joy of His forgiveness, not because I’ve confessed, but because His grace is sufficient. Oh! How I need His grace! Grace. Now there’s a word we don’t want to call by any other name. It’s been 10 years since I’ve been the “new” pastor. I was the new DS two years ago, but I found that was a little different than being the “new” pastor. I would like to say I’ve forgotten what it’s like to be the “new” guy, but that’s not true. I still remember the feeling. It’s an equal mixture of joy, excitement, anticipation, and anxiety. Jennifer Williamson wrote a blog this week entitled “What Your New Pastor Wants You to Know.” It offered some sage advice for congregations (and good reminders for the “new” pastor). Since I’m not one for reinventing the wheel, I want to re-post her list of things (with my own parenthetical commentary) we all can remember as we go through this “new” transition. Perhaps it’ll be helpful to some of my colleagues who are making the transition, too. 1. You are grieving the loss of someone you cared about. I am grieving the loss of a whole congregation (or at least a great job) I cared about. Instead of closing ourselves off and letting the grief become a barrier, let us use that as common ground or a place to bond. 2. You do things differently than I am used to. I will do things differently than you are used to. Let us keep that in mind, extend grace to one another (I’ve been accused of preaching nothing but “grace and Andy Griffith,” but I’m OK with that–I love being known as an apostle of grace), be open to new things and communicate as honestly, effectively and clearly as we can. 3. Try to find out who I am before placing on me all of your expectations of who you think I should be (and I promise not to place any unfair expectations on you). 4. There is a lot to learn in a short amount of time, so I will not have answers to all of your questions. Please be patient and help me learn more about the community (it actually helps that I grew up near Monroe and have been back for two years). 5. Your previous pastor should not return for weddings, funerals, baptisms, or social functions for at least the first year. This first year is important in building a relationship and trust with your new pastor. Please do not ask, as it places everyone in an uncomfortable position. 6. It may take a while to learn everyone’s name (actually, I do names fairly well–the problem in Monroe is there are just so many of them). Some of you may have names that are strikingly similar to people from the last congregation I served, and I will get confused. Please begin our conversations by reminding me of your name even after you feel I should know it. 7. God is capable, present and grace (there’s my favorite word again) is abundant. Let us live in that knowledge together! 8. That container of cookies (or BBQ) you brought by as my family was unpacking means so much more than you will ever know! 9. Please do not assume I know about a regular event in the church or in the community, or that I know who is in the hospital. I need you to give me information! 10. My heart is open. I could add as an 11th one to her list that I am so excited to be the “new” pastor again, but that I also pray it is the last time I get to play that role. We have so many connections to this area, and we feel like we’re home. I wish June 25th would hurry up and get here. I’m ready to be the “new” guy. It’s moving day. At least for this family. Traditionally, United Methodist pastors move the first Tuesday after Annual Conference, but when the Conference year was moved to July 1, moving day got pushed back a couple of weeks. But, it’s moving day for us. I know you may be getting tired of me writing about moving, but that’s pretty much been all that’s on my mind over the past couple of weeks. Maybe after today I can “move” on to another topic. Vanessa will probably want to know how could I get up this morning, of all mornings, and write a blog. She’ll want to know why didn’t I get up and pack a box, or move a box, or tape a box, or do ANYTHING to a box, besides sit here ON a box typing on my computer. I really don’t have an answer for that one. Perhaps she’ll wake up and start packing, moving or taping boxes and not take the time to check facebook, so she won’t notice that I blogged until tomorrow. Then, it’ll all be over. We’ve moved a lot. Let’s see…across the street in Chatham, from town to the country, back to town, from Chatham to Eros, from Eros to Junction City, Kentucky, from Junction City to Morgan City, Louisiana, from Morgan City to Minden, from Minden to Benton, from Benton to Monroe, and now, across town in Monroe. This makes our tenth move as a family (if I counted correctly). Geesh! You’d think we were in the military or something. Ten moves in 32 years…that’s moving an average of every 3.2 years (and you thought I was no good at math!). No wonder we’re good at moving. I’ve learned over the years that one should never say never, but I’m going to go out on a limb here and say, “I’m NEVER going to move again!” Let me rephrase that last statement: I don’t ever want to move again. I guess it’s because I’m older, but moving just makes me tired! 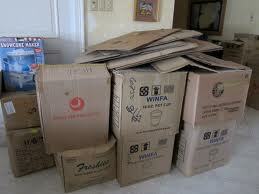 I see boxes, whether empty or full, and the energy just drains out of my body. It’s taking it’s toll of Vanessa, too. I can tell. I’m not fishing for sympathy, I’m just telling you I don’t know how “old” folks move. It’ll wear you out. I learned in this move that I’ve gotten way too comfortable in two years in this house. Perhaps as comfortable as I’ve ever been. Maybe it’s because I’ve loved my job so much, or perhaps it’s because so many of our family are so close, or even because we feel like we’re on our home turf in Monroe. Whatever it is, I’ve been incredibly comfortable in this house. It’s not good to get comfortable. Comfort can lead to complacency, and complacency can lead to apathy. Lord, may I never get comfortable. I suppose I should rather pray for contentment. The Apostle Paul told Timothy that “godliness with contentment is great gain” (1 Timothy 6:6), and to the Philippians he wrote these incredible words, “Not that I was ever in need, for I have learned how to be content with whatever I have. I know how to live on almost nothing or with everything. I have learned the secret of living in every situation, whether it is with a full stomach or empty, with plenty or little. For I can do everything through Christ, who gives me strength.” (Philippians 4:11-13). Contentment, and this from a man who was beaten with whips and rods, stoned, shipwrecked, and imprisoned. Makes moving not quite so bad, after all. So, I’m praying for contentment this morning as I survey the boxes and wait for the moving van. Comfort, complacency or apathy should not be a problem today, at least. There’s too much work to be done. Perhaps I should get up and get to it. Get back at least a little credibility with Vanessa.